It can be a challenge using plants in modern offices and buildings as these days, modern designs are all about simplicity and clean lines. Plants do not necessarily conform to that as they grow in odd shapes and sizes. Below are some ways to ensure that plants add a creative texture and yet blend in beautifully with the surroundings. How nice would it be to view at greenery before you even enter a building? It is healthy as well as aesthetically pleasing for both employees as well as clients to walk past some greenery. 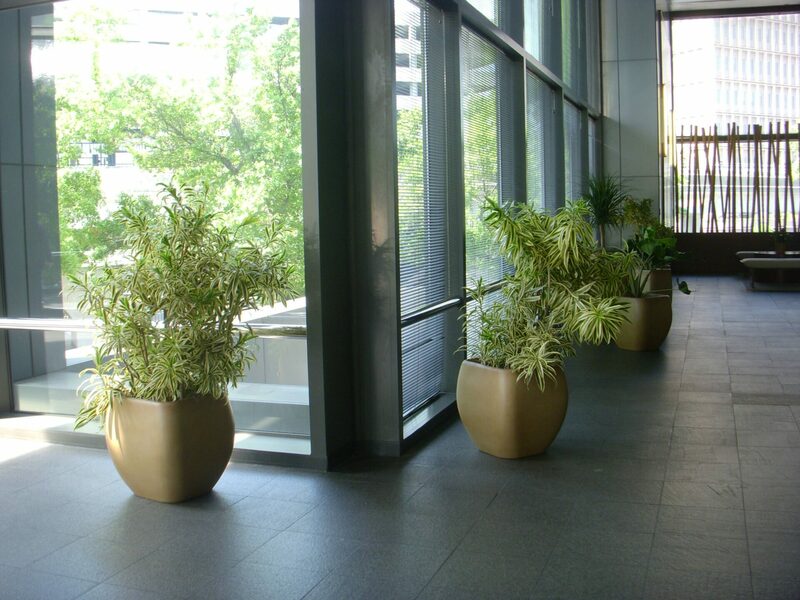 Large plants are often placed at the entrance of building or offices to create an inviting environment. Size is a major consideration to draw attention and specimen plants as tall as 5-7 feet are ideal. Certain dracaenas, ficus trees and palm trees are specifically grown for this purpose. As you step into the building, indoor plants can be utilized to establish walkways or foot traffic. Plants with bright colors can be paced out at intervals in rows or placed together closely. Natural focal point color foliage includes orange, red and yellow. Neon-green and lime-green plants can be seen from a distance against dark green foliage. In the past, plants were just placed randomly in odd spots to add a bit of greenery. These days, newer office spaces and buildings use plants for frames and screens. A green wall may act as a frame between two rooms, create a wall in open-concept office spaces, hide pipework or a storage room. Two identical plants can frame the lifts, plaque, doorways, an entrance or doorways and create an inviting environment. With plants, the biggest advantage is that they can be moved around to adjust to changes such as removing a divide, creating one or drawing attention. As buildings and offices grow in size, there is a large expanse of space. These cavernous spaces may be uninviting and intimidating and introducing plants not only interrupts the space but creates visual depth and makes the space intimate. The latest in design models allow for pockets/clusters of greenery surrounded by a pond or seating arrangement to add intimacy. Many office buildings create lush foliage and introduce seating where clients or prospects can share notes or relax before a formal meeting takes place. Plants also provide health and well-being benefits to those who work in in-built environments. A study by the University of Technology Sydney found that stress and negativity can be reduced in a leafy office. Scientists have learnt that harmful VOCs (volatile organic compounds) is removed by plants and converted to food for the plants. This makes the office and building environment a safer and healthier place to work in. To bring nature into your new office workspace or building or just to give your existing office an exciting makeover, Get in Touch with us. 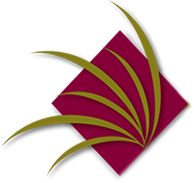 With offices in several states including Texas, NJ, Florida, Virginia, Illinois, Alabama, Tennessee, and Georgia, we are the best plant rental, care and maintenance company to call!